Charm is a darling boutique located on Second Avenue North. 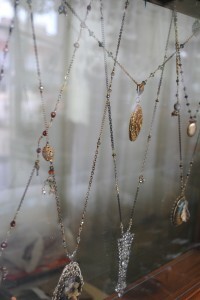 Its goods range from one-of-a-kind jewelry to gorgeous bags to eclectic stationery. It’s literally impossible to not walk away with something. 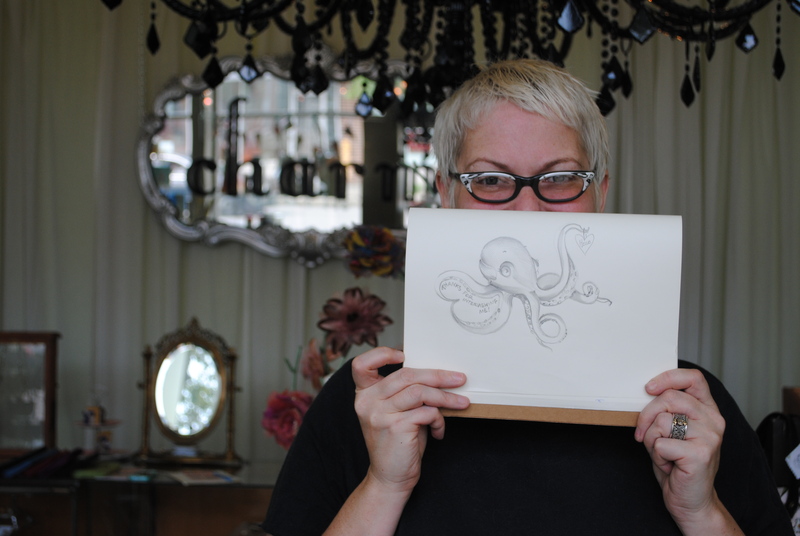 But as you enter the charming boutique, make sure to get to know the owner, Chatham Hellmers. If the items sold in Charm don’t keep you coming back, the company you get in Chatham definitely will. Exodus: How long has Charm been a part of the Second Avenue community? Hellmers: I’ve been here for about three and a half years. It will be four this September. E: What initially drew you to this Second Avenue area? I know it’s only been in the past few years that it has returned to the lively downtown street of the past. H: Well, I’m originally from Long Island, lived in Manhattan and Atlanta, and then finally settled here. And in all of those cities, downtown is the place to be. That’s where the life, the stores and the people are. It was pretty clear to me that there was something going on here at Second Ave. I wanted to be a part of it. I’m fully immersed in it as well, living just a block away from the store. E: Charm is one of the more unique stores I’ve been in. What was your vision for it initially when you were first starting out? H: Well, I’ve been a part of a couple other stores. With this one though, I wanted to sell what I love. I’ve collected costume jewelry for as long as I can remember, and I knew that would be a focal point of this store. Then, with anything that doesn’t sell, I get to keep it. It’s totally a win-win. E: You mentioned you’re from Long Island and lived in Manhattan for a while. Birmingham seems like a way different place from those. Give me some background about yourself and how you ended up here. E: Tell me a little more about the items you carry in Charm? H: Well, they are kind of new meets vintage meets handmade. (Hellmers even makes some of the jewelry herself, pictured right) I want everything to be really quirky and unique, but also accessible. It also has to fit a certain price range. People won’t buy anything if it’s not reasonable, and I’m very aware of that. B: All of your items are very unique. I honestly don’t think I could find a lot of this in other stores around Birmingham. Where do you buy it? E: I’ve always been a compulsive shopper. I’ve been buying from the same people since I was 18 out of New York. Honestly, I would lie to them when I was younger, pretending I had my own store just so I could get stuff wholesale. Then I’d just sell or give stuff to my friends. Who would have thought looking back that I would actually own my own store? I thought I’d just grow up to be a rich housewife, designing my mansion. Charm’s clientele ranges from “dudes buying their girlfriends a gift” to “over-the-mountain women,” so clearly there is something for all. Don’t miss out on the unique finds and the charming woman who owns the store. Just be prepared for outrageous conversation and amazing inventory.